In this groundbreaking book, a world authority on human communication and communication therapy points out a basic contradiction in the way therapists use language. 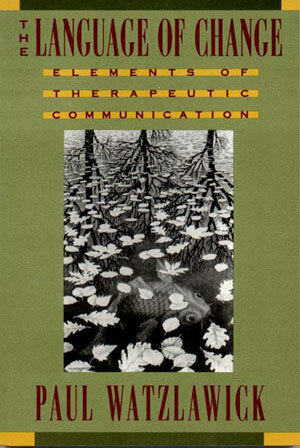 Although communications emerging in therapy are ascribed to the mind's unconscious, dark side, they are habitually translated in clinical dialogue into the supposedly therapeutic language of reason and consciousness. But, Dr. Watzlawick argues, it is precisely this bizarre language of the unconscious which holds the key to those realms where alone therapeutic change can take place. 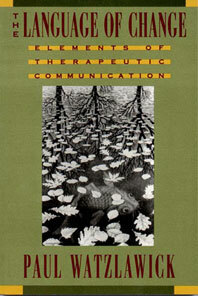 Dr. Watzlawick suggests that rather than following the usual procedure of interpreting the patient's communications and thereby translating them into the language of a given psychotherapeutic theory, the therapist must learn the patient's language and make his or her interventions in terms that are congenial to the patient's manner of conceptualizing reality. Only in that way, he shows, can the therapist effectively bring about genuine changes and problem resolutions. Drawing on the work of Milton H. Erickson, he supports his findings with many (and often amusing) examples. This book, then, is a virtual introductory course to the grammar and language of the unconscious. The Invented Reality: How Do We Know What We Believe We Know?